Looking "where to sell my Jaguar Mark II?" Ask the Chicago Car Club! Are you wondering "where to sell my Jaguar Mark II ?" The Chicago Car Club is interested in classic cars of all makes and models, especially a Jaguar Mark II. 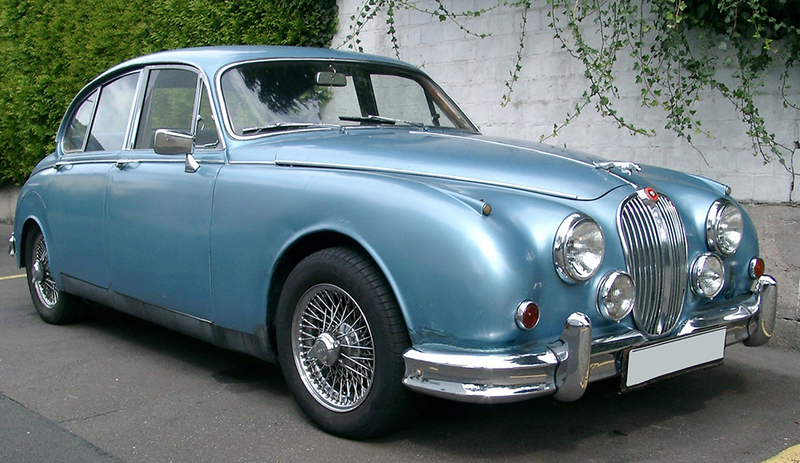 We make the process of selling your Jaguar Mark II quick and painless. In just a matter of hours we will have your classic valued and, if you do so choose, turned into money in your pocket. All it takes is a phone call or electronic inquiry to get the ball rolling. The 1959-1967 Jaguar Mark II model was built in England. Initially named the 2.4 Liter and the 3.4 Liter models, they were later changed to Jaguar 240 and 340 respectively. The Mark II engine was capable of high speeds, though the power wasn’t all that significant. The 2.4L had a power output of 89 kW, the 3.4 had 160kW. The carburetor used for the Mark II was the SU HD6, which was a common selection for Jaguar at the time. The later engines included the installation of induction pipes which reduced exhaust emissions. In comparison to the Mark I, which was sold between 1955 and 1959, cabin visibility was significantly improved. The Mark II had a wider windscreen.